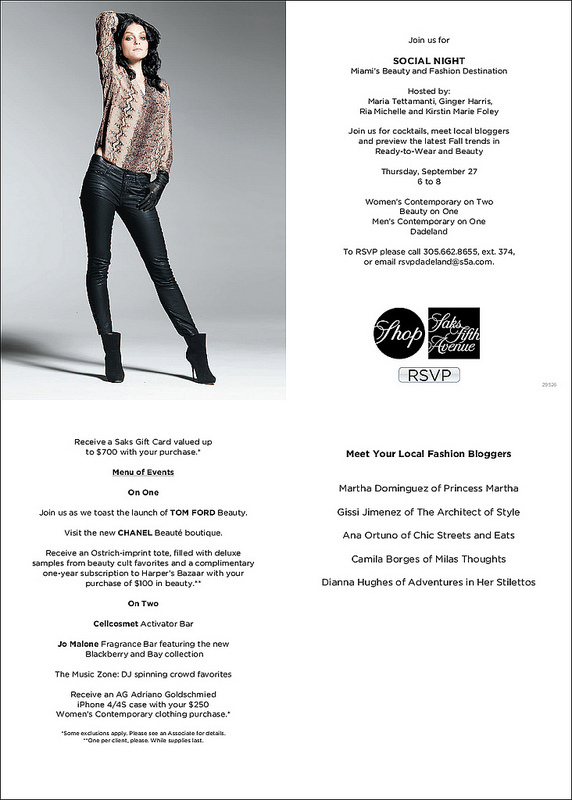 Join me along with other local bloggers as we celebrate the newly renovated Contemporary Department at Saks Fifth Avenue in Dadeland Mall today Thursday September 27, 2012 from 6PM-8PM. There will be yummy bites and drinks to make you happy and tons of demos from Tom Ford and more. Don't miss out, come and hang out with me...I will enjoy the company.